We offer several different lace tipping options depending upon your preference and type of lace. Unlike plastic tips (which are formed by attaching a piece of acetate film to the end of each lace) molded lace tips are formed ultrasonically. Molded lace tips are similar in appearance to fused tips but rather than forming the tip using heated dies – during the lace tipping process a vibrating ultrasonic horn provides direct and intense heat to the lace while compressing it in a cool die. 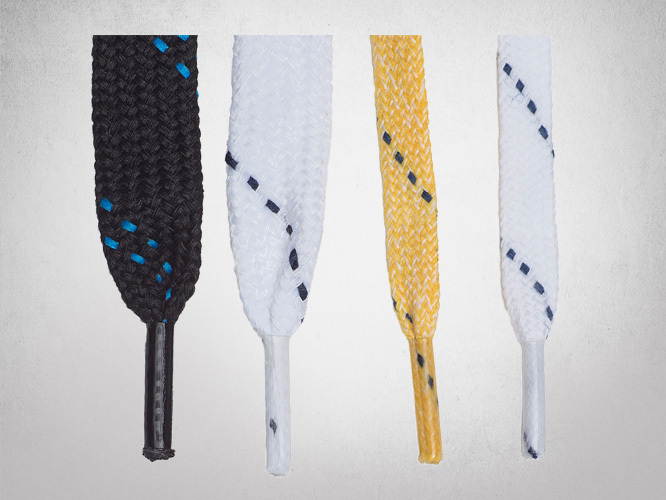 Like fused tips, molded lace tips are extremely durable and will never fray or come undone. 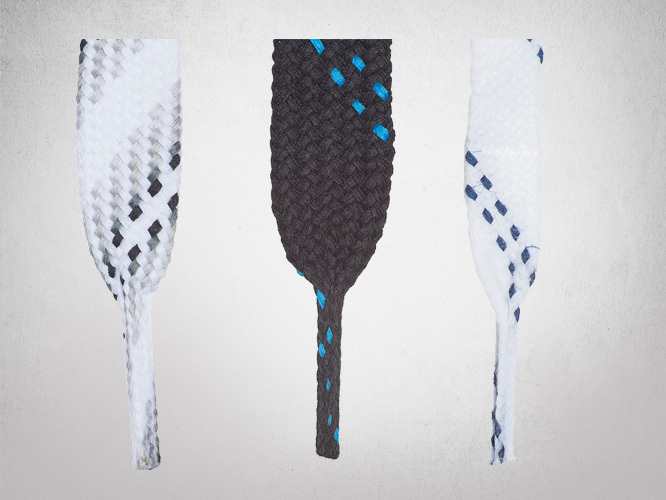 Unlike plastic tips (which are comprised of a separate piece of acetate material wrapped around the lace) fused lace tips are made from a part of the lace body itself. In order to create a fused tip, the lace is compressed into a heated die that literally bakes the lace into a firm, sealed tip. 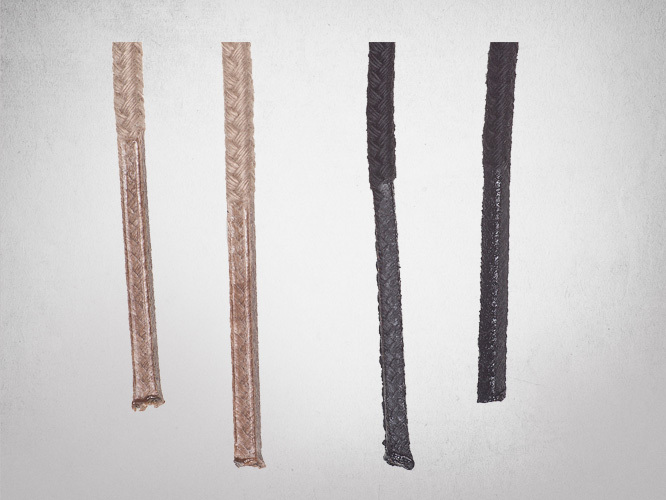 Metal lace tips are offered on garment drawcord and lacing. The metal lace tips are cinched overtop of the plastic tips with the aid of a pneumatic press. 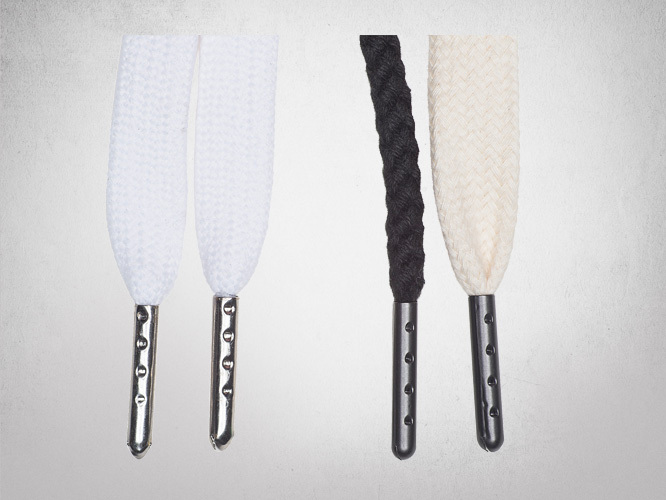 Metal lace tips are available in dull black or shiny silver and are 7/8” long. Plastic lace tips are familiar to just about everyone and are made by mechanically affixing a piece of acetate film onto the end of each lace. For those garment customers who prefer to bar tack or knot their drawcord lace ends, our lace tipping options include “cut only” lacing.